With almost two billion people in the world living in extreme poverty, any highly sought-after commodity has the power to hurt and the power to heal. As one such commodity, tea can provide a generous income, a chance for education, a spiritual ritual, and affordable medicinal help for the world’s poorest communities. But tea can also fund corrupt corporations and governments, leaving workers, particularly women and children, vulnerable to abuse and theft. Buy from ethical sources. Fair trade is one option, but other organizations work with tea-growing communities and are active in providing their workers with appropriate wages and benefits. 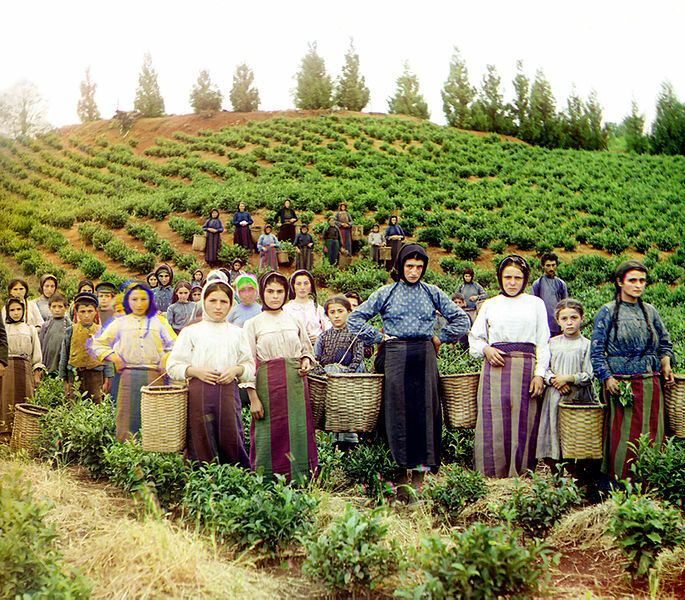 Choose a group according to mission, region, and/or type of tea produced. Encourage places of worship, clubs, workplaces, and other community groups to serve fairly-traded or ethically-traded tea. Equal Exchange offers a wholesale option for faith-based organizations. Take note of the country of origin. Look it up on a map if necessary. If you are a person of faith, pray for the growers in that region and their families. Listen to the music of the tea-growing regions while you sip. Putumayo has a particularly good album showcasing music from the tea lands. Support non-profits that aid impoverished and vulnerable citizens in tea-producing regions. Drinking tea can be a meditative experience. The time it takes to prepare it, to let it cool, to sip, force us to enjoy margin time and slow down our pace. It connects us with worlds thousands of miles away, and with people who bent to pick each leaf for us on fields of dark green. The options above can color a tea-drinker’s experience with a deeper love for the people who produced it, and a better understanding of the world from which it grew. May your enjoyment of tea and compassion for the world be enriched with every sip! Have a great weekend! Do you have any rituals or traditions to help you share in the experiences of other people in the world? Are there any ideas you would add to the list above, or organizations/companies you recommend on this topic? Please share them in the comments for our readers! This article was interesting and similar to the one I wrote about coffee last night. In my case, I sponsor a child in Central America through the Integral Heart Foundation. I can’t drink a coffee without thinking of her and all the indigenous people who are often treated unfairly.